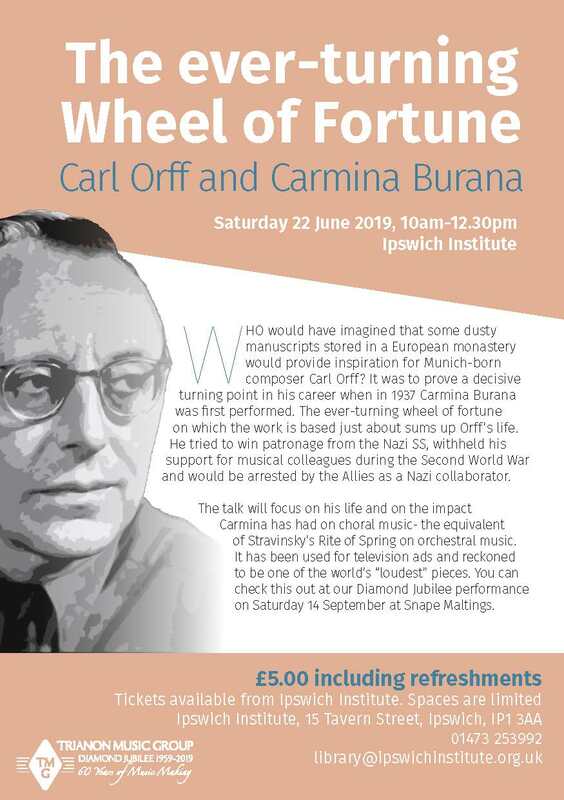 A small youth group in the mid 1950s which from school band to fully fledged choir and symphony orchestra became deeply rooted in Ipswich social and cultural life – all under the same conductor’s baton. 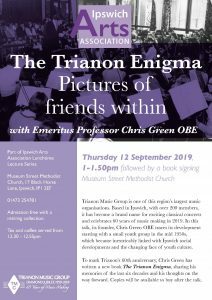 Bits of the story have been circulating but we now have Chris Green’s book, The Trianon Enigma, to tell the remarkable tale of his and Trianon’s musical journey, inextricably linked. 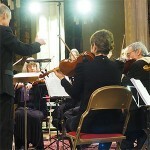 Celebrating his own 60th birthday as the Group’s founder and conductor, Chris will present The Trianon Enigma hot off the press for the first time and share his memories of the last six decades as well as his thoughts on the way forward. The book will be available for sale on the day. Fasten your belts and take off in the time machine with him!